The 2017 edition of National Signing Day has come and gone and recruiting staffs across the country have turned their attention to the 2018 class. Saturday Blitz takes a look at the winners and losers of the 2017 Signing Day class. National Signing Day, like all athletic events, presents us with winners and losers. 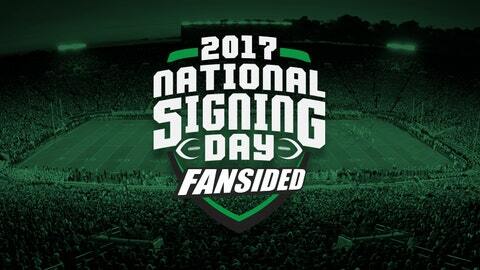 Most classes come into the day to sign recruits that have been publicly committed to that team, as well as sign other recruits that are announcing that day. Some teams come out of nowhere to sign great classes, others silently go about the day, and some teams consistently sign top classes such as Alabama or Ohio State. Other teams lose recruits at the last minute, a far more relevant issue than perhaps most would think. The teams on this list appeal to all of these situations. While it is hard to say how a class will truly pan out (actually it’s impossible) we can go off of rankings to discern who are the winners and losers of Signing Day. Most teams would say they win Signing Day. It is hard to “lose” in this type of event, but it happens, as will be explained when we get to the losers on this list. As stated, we never really know how a class will pan out until we see who makes it school, who goes to JUCO and which players pan out at their institution and which don’t. Without further ado, we’ll dive into our list with one of the surprising classes of the day. USC followed up on its successful 2016 season and Rose Bowl championship, to land a top five signing class, and one of the more surprising classes of Signing Day. Not only did USC have one of the best classes in the entire country, but according to 247Sports rankings, they had the best class in the entire Pac-12 Conference. While the Trojans seemed to go heavy on defense in this class, they did sign two of the better skill position players in the country in five-star running back, Stephen Carr, and five-star wide receiver, Joseph Lewis. Top players of defense for the Trojans brings help along the defensive line in defensive tackles, Marlon Tuipulotu and Jay Tufele, both four-star prospects. 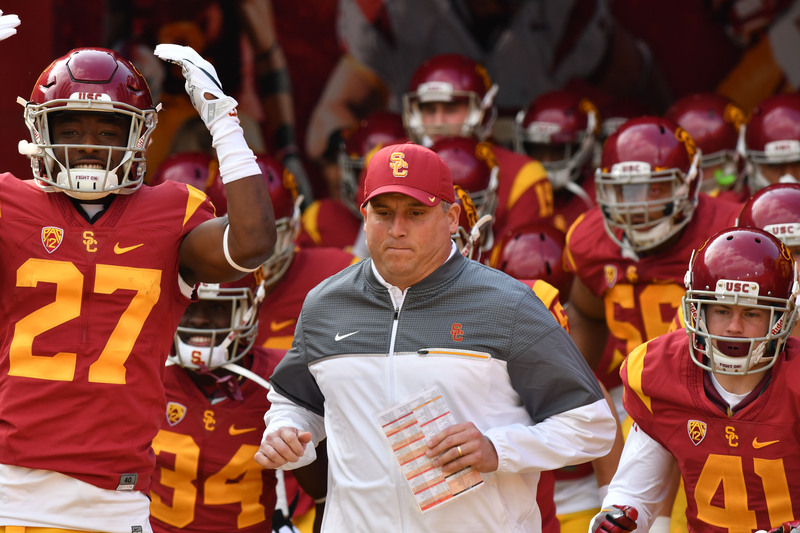 Overall, the Trojans have a class that gives USC help on defense, and adds to their collection of offensive weapons, adding to the hype that they will undoubtedly be receiving in the offseason. Texas, much like their 2016 season, hoped and was thought to do better than where this class is ranked. Yes, the Longhorns had a lot going against them but still, this is Texas we are talking about here. Texas had a rough season and the firing of head coach Charlie Strong certainly did not help with recruiting. With that said, the Longhorns did hire Tom Herman, the former Houston Cougars head coach, so he has in state ties to still expect that Texas could have some success on the recruiting trail. While this class does rank outside the top 25 of the recruiting rankings, it is still the second best class in the Big 12, so it isn’t as underwhelming from that perspective. On the national level however, more is expected from Texas. 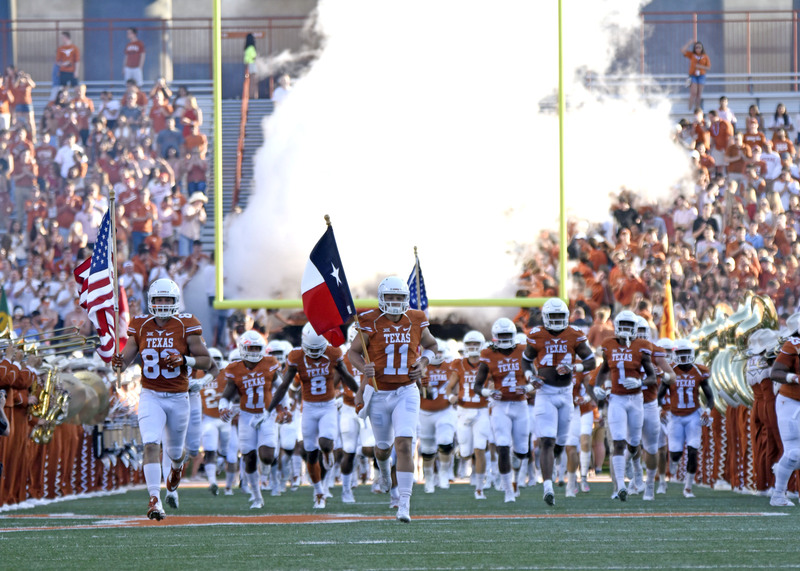 This Signing Day class is dominated by new offensive players for Texas; including dual-threat four-star quarterback, Sam Ehlinger, four-star running back Toneil Carter and four- star wide receiver Damion Miller. With weapons such as these and the others that the Longhorns signed, it’s not hard to see Coach Herman having Texas back in the spotlight before long. I wonder if Kirby Smart learned a thing or two about recruiting from his old boss, Nick Saban? Either way, Smart and his staff put in work for their first full Signing Day class at the University of Georgia and it payed off. While Smart and his staff had a top 10 class last year, this class this year was put together with the full staffs effort for the entire cycle and landed Georgia the third ranked class behind only Alabama and Ohio State. 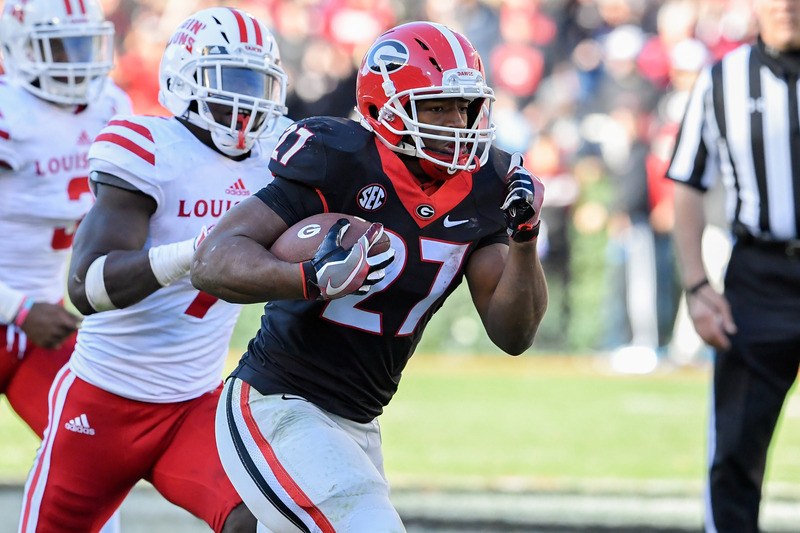 Georgia signed a well balanced class, landing a total of 20 five and four-star players (which is insane) highlighted by the nations second best running back, Richard Leconte III, and the nations fifth best offensive tackle, Isisah Wilson (both five-stars). Couple this class with last years top 10 class that included Jacob Eason, Issac Nauta and a plethora of other talented players, and you have the makings of a well put together team that will begin challenging for the SEC championship for years to come. 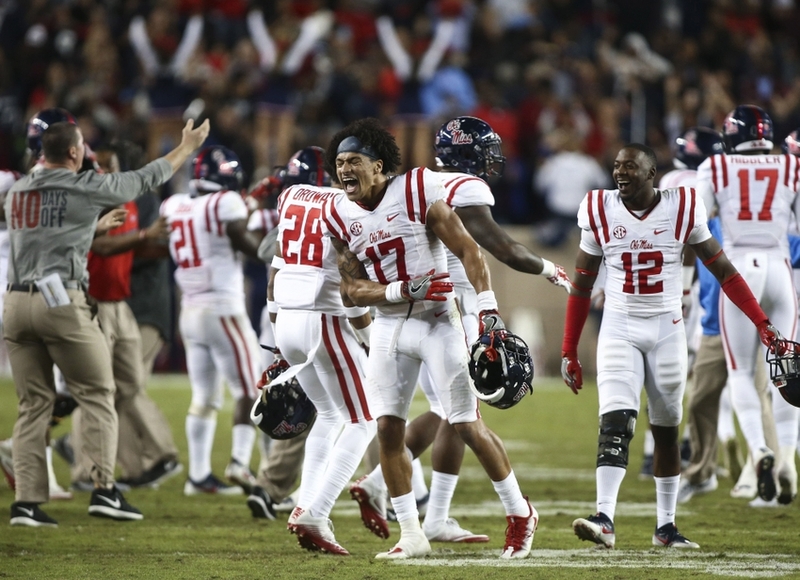 Nevertheless, Ole Miss had to do their best to sign a good class and they did what they could. In the SEC their class doesn’t rank high but the coaches believe that they still got talent enough to compete in the conference. The 23 signee class is headlined by four-star WR/CB D.D. Bowie as well as a couple of linebackers in Mohamed Sanogo and Breon Dixon. This class was defense heavy for the Rebels (they finished last in the SEC in total defense) particularly along the defensive line and at the linebacker position. The surprise of the class could be Isaiah Woullard, who is the state of Mississippi’s all-time leading rusher, but was lightly recruited due to his high school being in the Mississippi private school system. The rich just keep getting richer. 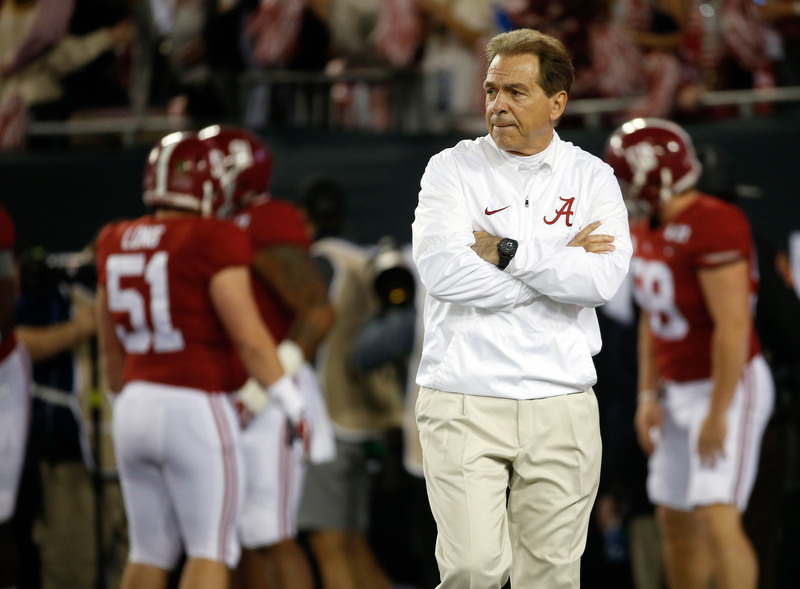 Despite their loss in the CFP National Championship, Nick Saban continued his recruiting success at Alabama with yet another top ranked National Signing Day class for the Crimson Tide. Out of Alabama’s 29 signees, 24 were ranked as either a five-star or four-star. You’ve heard the phrase before, Alabama doesn’t rebuild, they reload. In a class full of star studded prospects, there are a few prospects that stand out above the rest for the Crimson Tide, including running back Najee Harris, who will most likely be a very early contributor for Alabama during the 2017 season. What stands out for this class is that Saban and his staff have 12 early enrollees from this class including Harris, as well as the top offensive tackle in the country, Alex Leatherwood and top dual-threat quarterback Tua Tagovailoa. According to 247Sports rankings, Alabama has signed the top overall class every year since 2010. It will be interesting to see if the streak continues in 2018.